The Leslie Knit Tank Dress from O'Neill features, 95% Viscose 5% Elastane fabrication, 33 1/2"Hps, placement print on front and back, high neck and a metal logo badge. 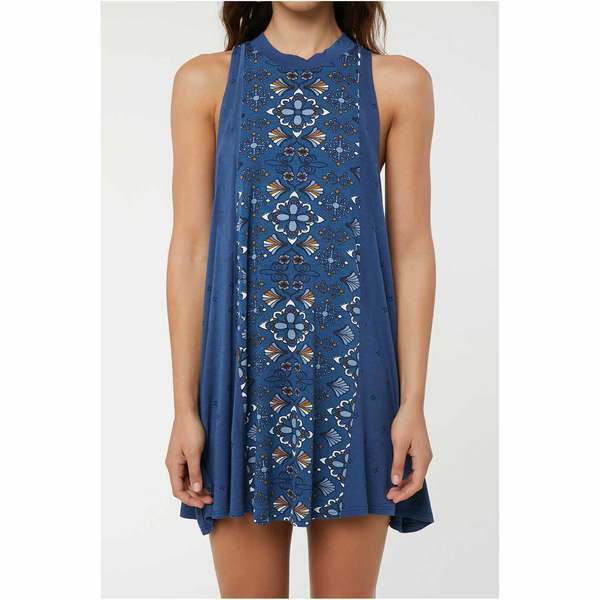 The intricate pattern adds a splash of excitement to this flowy dress. Imported.